This flipchart will be sure to engage your children as they learn about the three branches of the United States government. 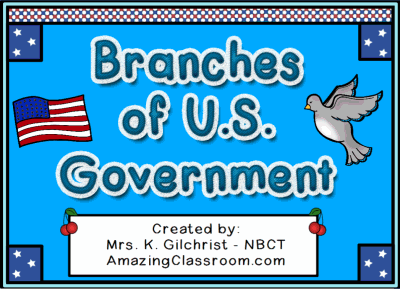 The students will learn about the Executive Branch, the Legislative Branch including Congress, the House of Representatives, and the Senate, along with the Judicial Branch. This flipchart lesson includes container activities, links to outside videos and games, as well as ten pages of voting for your students. Enjoy! 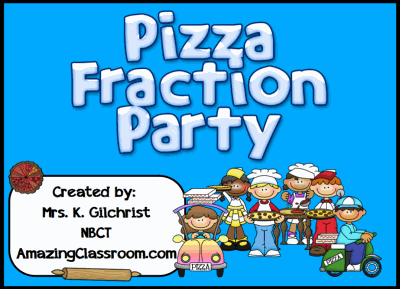 Your students will love practicing making fractions with this adorable Fraction Pizza Party flipchart lesson. 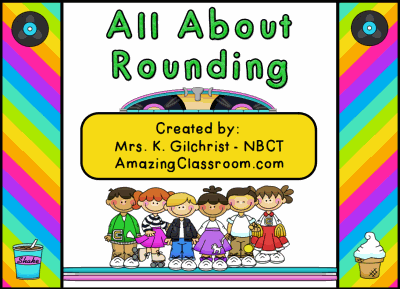 This lesson is full of fun and interactivity. It also has voting pages and a pdf stored within the flipchart lesson for your students to complete as a summative assessment to see what they've learned. 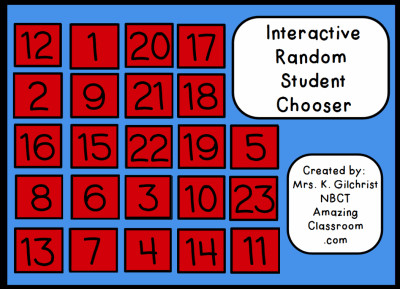 Use this lesson as a center or station activity during your math rotations, or as a whole class. Enjoy! 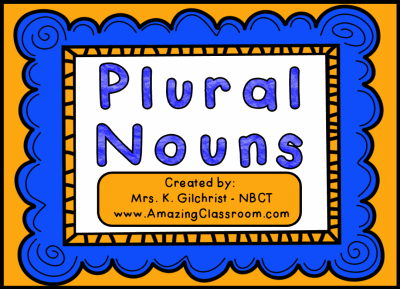 This Plural Nouns flipchart lesson is jammed packed full of activities for your students. This lesson is over 50 pages and includes the following plural rules: add s, add es, add es to words that end in o, change y to i and add es, change f or fe to ves, and irregular plurals. It also includes container activities, magic revealers, outside internet games and activities, as well as many voting pages. A plural worksheet is added as an attachment! This flipchart lesson is packed full of interactivity for your students. This flipchart lesson is over 30 pages and includes many container activities where students have to drag the correct number to its rounded answer. There are multiple opportunities for students to come to the board and write, as well as twelve voting pages for assessment. A pdf is also included to print and use! Your students will love it! Enjoy! 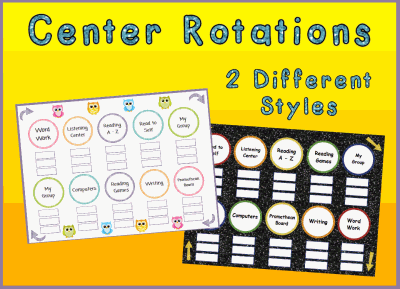 Do you use centers or stations in your classroom? If you do, then this flipchart will be perfect for you to keep track of your students locations. There are 10 available stations, change them to fit your classroom. Keep all 10, or delete some and use what you need. There are 30 name plates for students. Delete the ones that you don't need. This file contains two styles. One is owl themed, and the other is a glitter design! Enjoy! Do you want to create your own Jeopardy games, but don't have the time? 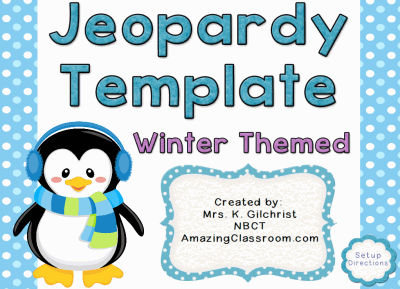 Now with this neatly designed, winter themed template, you can create Jeopardy style games for your classroom in a snap! Just add your own categories, questions, and answers! The arrows keep score by the hundreds for up to 4 teams. This ActivInspire Flipchart file contains 54 pages: 25 question pages, 25 answer pages, a game board, a scoreboard, and instructions. Have fun! This flipchart has 20 pages of interactivity for your little ones. Each page has four or five words they have to rearrange in a sentence. Each of the pages are set up with containers. When the students place the word in the correct spot, they will hear a sound. If they misplace a word, it will fling back to its original spot, giving the student immediate feedback. 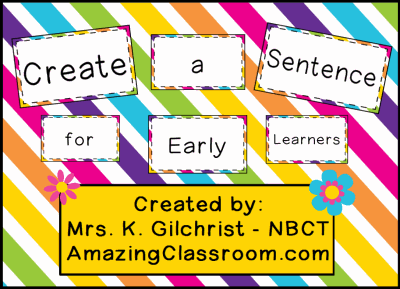 Use as part of your morning routine, centers or stations, or as a whole group! 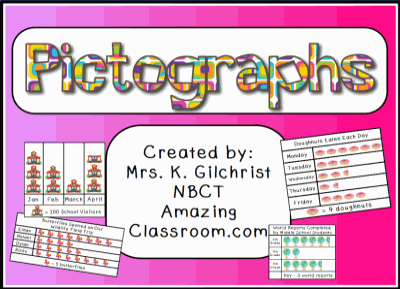 Teach your students all about picture graphs with this pictograph flipchart lesson. This lesson begins with an explanation of pictographs, and then has several questions and opportunities for students to vote such as: How many more?, Who has the fewest?, How many combined in all? Then the flipchart has 3 pages where students have to read the statements, and complete the pictograph to match each statement. 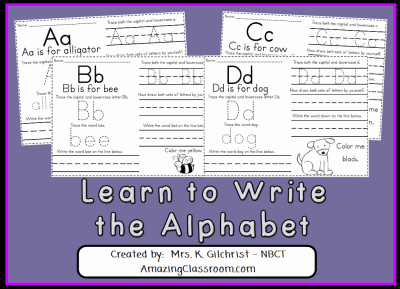 Great for multiple grade levels. Enjoy!